ELISA: Direct: To detect hCTGFL/WISP-2 by direct ELISA (using 100 μl/well antibody solution) a concentration of 0.25 - 1.0 μg/ml of this antibody is required. In conjunction with compatible secondary reagents, it allows the detection of at least 0.2 - 0.4 ng/well of recombinant hCTGFL/WISP-2. Sandwich: To detect hCTGFL/WISP-2 by sandwich ELISA (using 100 μl/well antibody solution) a concentration of 0.25 - 1.0 μg/ml of this antibody is required. In conjunction with Polyclonal Anti-Human CTGFL/WISP-2 as a capture antibody, it allows the detection of at least 0.2 - 0.4 ng/well of recombinant hCTGFL/WISP-2. Western Blot: To detect hCTGFL/WISP-2 by Western Blot analysis this antibody can be used at a concentration of 0.1 - 0.2 µg/ml. Used in conjunction with compatible secondary reagents the detection limit for recombinant hCTGFL/WISP-2 is 1.5 - 3.0 ng/lane, under either reducing or non-reducing conditions. 2 - 8 °C. Frozen aliquots are stable for 6 months when stored at -20 °C. Avoid repeated freezing and thawing. Centrifuge vial prior to opening. 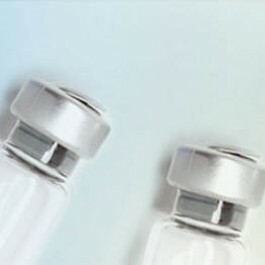 Restore in sterile PBS containing 0.1 % BSA to a concentration of 0.1 - 1.0 mg/ml. This antibody detects Connective Tissue Growth Factor-Like protein.